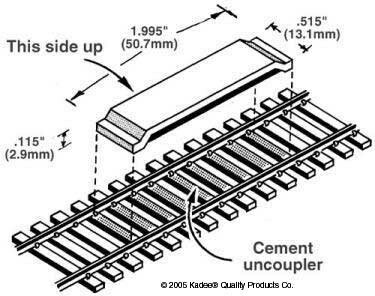 Place this handy "delayed-action" Uncoupler anywhere on a straight track segment between-the-rails. Ready to mount on top of ties with Code 100 rail. 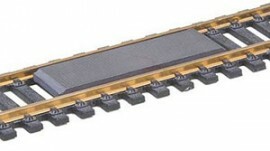 Cut out ties if mounting Code 83, 70, 55 or 40 rail.